I shared on my Instagram how I am a huge fan of big art vs. a bunch of small art pieces to fill a large space. I love a great gallery wall, so don’t think I’m knocking them, but in some cases a large piece of art just feels right. It can add a bold statement or a subtle elegance or in my most favorite case, a bit of moodiness. 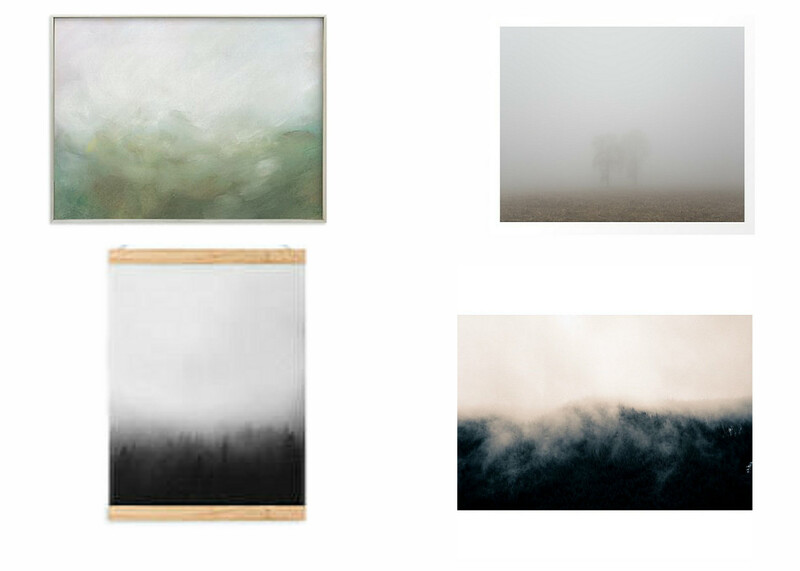 I’m currently into really mist filled art and wanted to share my favorites.